Frost & Sullivan’s findings indicated that the overall market would continue to grow at a rate of 8.4% annually, reaching $3.6 billion by 2020. In such a large market, cloud computing will play an increasingly important role. More and more video conferencing service providers such as have shifted their product portfolio from on-premise to cloud based one. Being convenient and affordable, cloud video conferencing has become a new trend and is reported to be the future of video conferencing industry. But why cloud-based video conferencing is the future? There are various cutting-edge technologies employed in the advancement of cloud video conferencing, and listed below are four major trends that have been driving video conferencing in the cloud. With video conferencing moving to the cloud, the security issues that most businesses were concerned about are no longer relevant. For instance, the firewall issues are no longer a concern and users don’t have to know where video conferencing endpoint begins and the infrastructure ends. 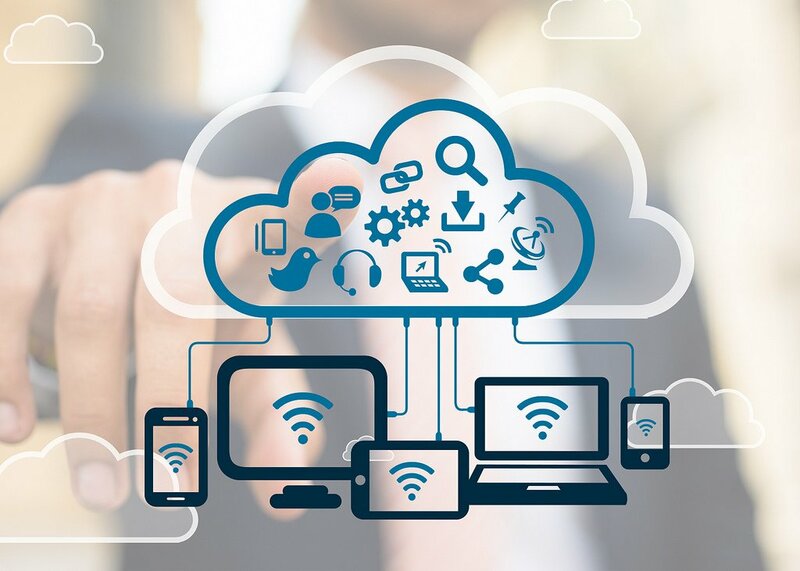 In virtue of the cloud, information technology is maintained as a service, with no need to pay for the costly and complicated on-premise server technology. Also, software-as-a-service (SaaS) delivery has made video conferencing technology easy to use. By using video conferencing software users can quickly conduct a video meeting face to face with colleagues, customers, co-workers and suppliers anytime, from anywhere. According to a GSMA study, the number of connected devices in the global market will increase from 9 billion in 2011 to more than 24 billion by 2020. The increasing use of connected devices has made cloud video conferencing services seamless. For bad weather delay or other unforeseen circumstances, you can easily join a virtual online meeting on your mobile phone, iPad, laptop or other devices as long as you have Internet access, no matter where you are. For most organisations, everyone in their mobile workforce can get a top quality, high definition cloud video conferencing experience on any connected device without a complicated setup. Using cloud-based video conferencing tool, companies of any size can communicate and collaborate across and among organisations more conveniently. Most enterprises have a network of customers, suppliers, and vendors with whom they have to maintain close contact. As technology moves to the cloud, everyone in the supply chain will have equal access to video conferencing capabilities. Apart from the HD audio & video collaboration, they can also share information like files and data with each other securely on the cloud. Web Real-Time Communication (WebRTC) enables browser-to-browser applications for voice calling, video chat, and file sharing without using plug-ins. WebRTC technology will not replace existing video conferencing products, but complement existing technologies. For most companies, WebRTC is an easy and secure means of connecting external users to video conferences. Instead of downloading a proprietary application that may not permit intercommunication between users, WebRTC makes cloud video conference connection as easy as pushing a button on a browser. These technology trends will continue to evolve and definitely influence the video conferencing in the cloud. With the increasing numbers of businesses moving from on-premise video conferencing to cloud-based one, seamless communication and collaboration are becoming productive, efficient and effective. It will be very interesting to see whether this will become true in the coming years, or how it will unfold over the next ten years.